Understanding who we are and why we strive to provide top-quality services is our first step in building a solid relationship with every client. Viranim Technical Solutions is dedicated to providing our employees, clients, and company with an environment that perpetuates exceptional performance with strong work ethics, integrity in business practices, outstanding client support, and social responsibility within the community. We have a philosophy that “if we take care of our employees, they will take care of our client, and our client takes care of us.” The best way to retain great employees is to treat them with respect, help them develop skills, and ensure fair compensation and benefits. With many aspects of Viranim's established culture centered around community involvement and employee growth, transitioning to a a HUBZone certified company has been a virtually seamless process. 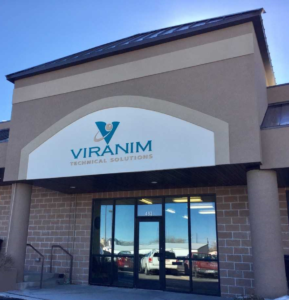 Excitement has grown in the community as well as Viranim itself. In addition to providing exceptional IT and engineering services, Viranim is dedicated to meaningful involvement within our community. Our goal is to provide employment opportunities to an area that has been disadvantaged. This is an area where our CEO spent her childhood. One of the most exciting opportunities for Viranim is the ability to give back to that community. Our employees will gain the experience and skills that can help them with career progression and the resources to give back to their community. How does Viranim do it? Our clients are everything to us. We create a working environment that enables our employees to perform all contractual requirements, thus reducing the impact on our clients and their programs. Our experienced executive and management team has more than 20 years combined experience directly supporting federal and DoD contracts. As an EDWOSB and a HUBZone company, with in-house proposal development capabilities, and as a company providing “high-end” IT and engineering services, we can quickly and easily establish contracts. In order to create this working environment, Viranim is all about people—qualified people with the right knowledge, skills, attributes, and experience necessary to find the best solutions to challenging problems. We believe the way to retain these kinds of employees is to treat them with respect, help them develop skills, and ensure fair compensation and benefits. Amy Fowers grew up in Ephraim, Utah and lived there until the age of fourteen. Because Ephraim played such an instrumental role in her life and the lives of her family, Amy is excited to be able to give back to the community..
Amy is an alumnus of Weber State University, where she participated in the Piano Performance Program and graduated with a Bachelor of Science degree in Professional Sales. 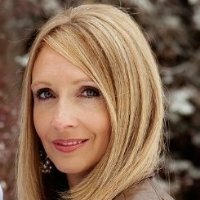 She has managed a successful piano studio for sixteen years in Weber and Davis counties, has received multiple training certifications, and is a certified teacher trainer for Music Mind Games. Amy is actively involved in her community and has served on the Board of Directors at the Syracuse Arts Academy, in addition to serving as an advisor to the Board in the arts. She was also president of the Parent Board. Amy lives in Syracuse, Utah with her husband and their four children.